Are you shopping for a capable SUV to transport your family or travel to the best rock climbing spots near Boulder? 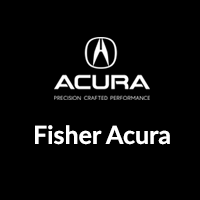 Fisher Acura’s used inventory is as impressive as our new one! We offer a selection of SUVs and other utility vehicles available at reasonable prices. Whether you want an SUV that’s great on gas, offers seating for seven, or can tow and haul with ease, chances are you’ll find it here. Currently, we have 2 used SUVs under $10,000 for sale. Take a look at your options below, then contact us to schedule a test drive near Golden and Arvada! Why Shop Used SUVs Under $10,000 at Fisher Acura? We offer plenty of opportunities for Thornton drivers to save on the vehicle they want! Pre-owned vehicle specials are always available to shoppers on a budget, as well as an inventory of used AWD SUVs and used cars under $10,000. Additionally, we’re a full-service dealer. From helping you apply for financing to servicing your vehicle, we’ll partner with you to ensure your driving and ownership experience remains satisfying.